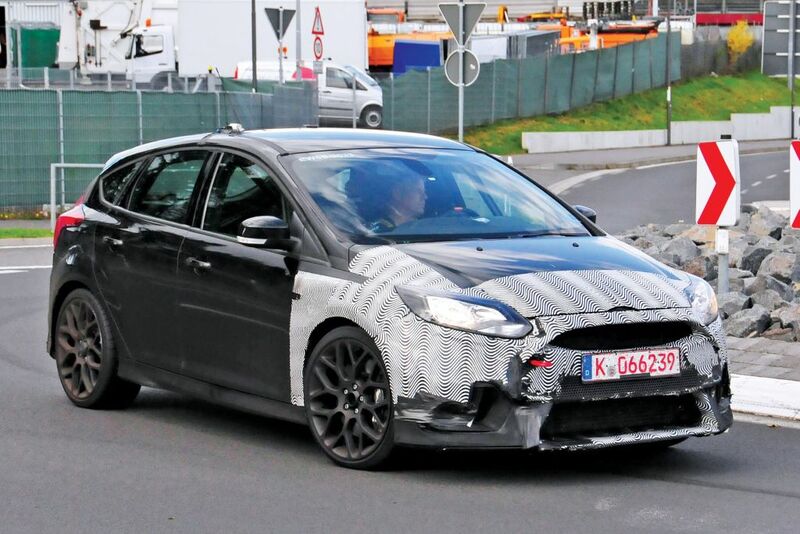 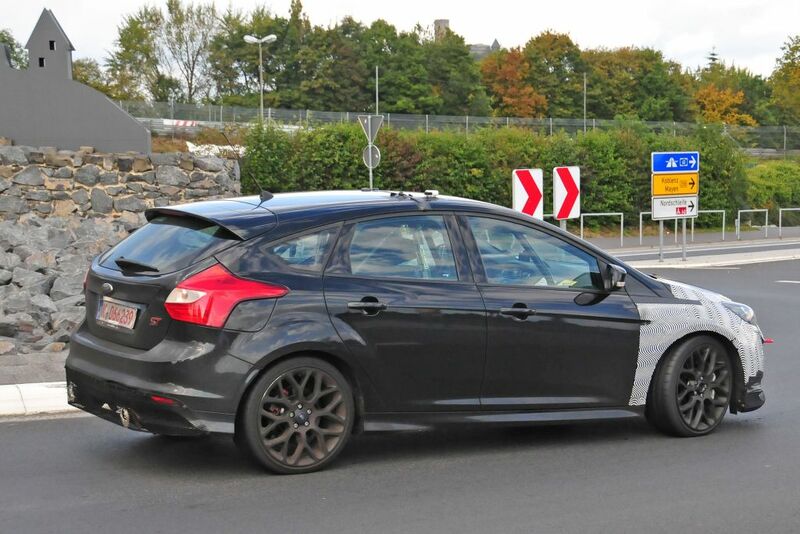 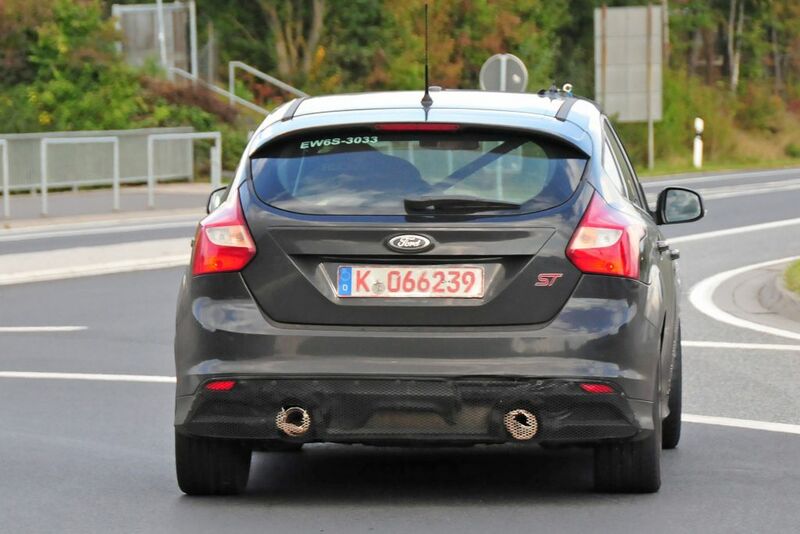 New spy shots have emerged of another Ford Focus RS prototype testing at the Nurburgring, wearing a full-production front-bumper for the first time. 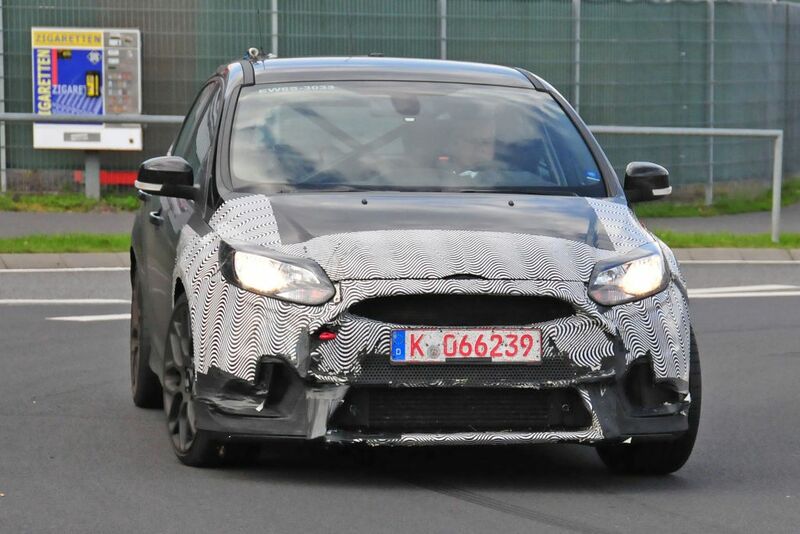 Look past the light camouflage and this is our best idea yet of just how aggressive Ford’s designers are planning to make the RS. 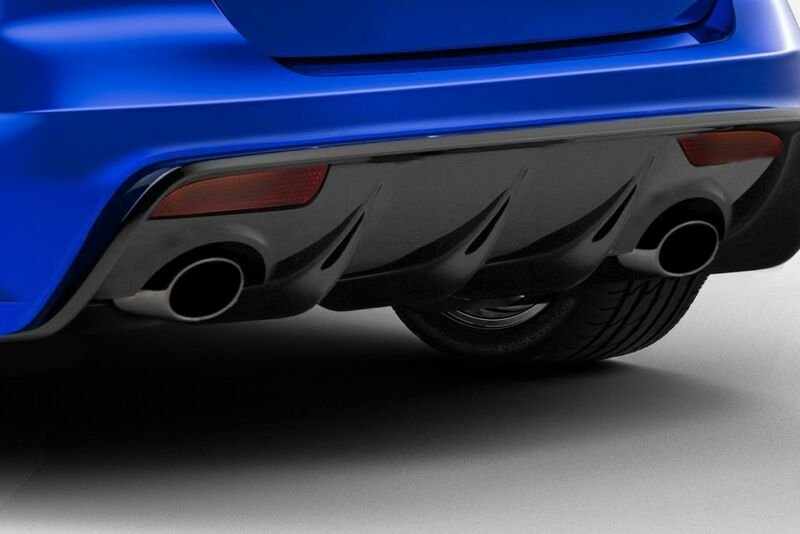 As you can see, there are now two massive trapezoidal grilles for gulping air into the engine, flanked by large air vents on either side, feeding cool air to the uprated brakes. 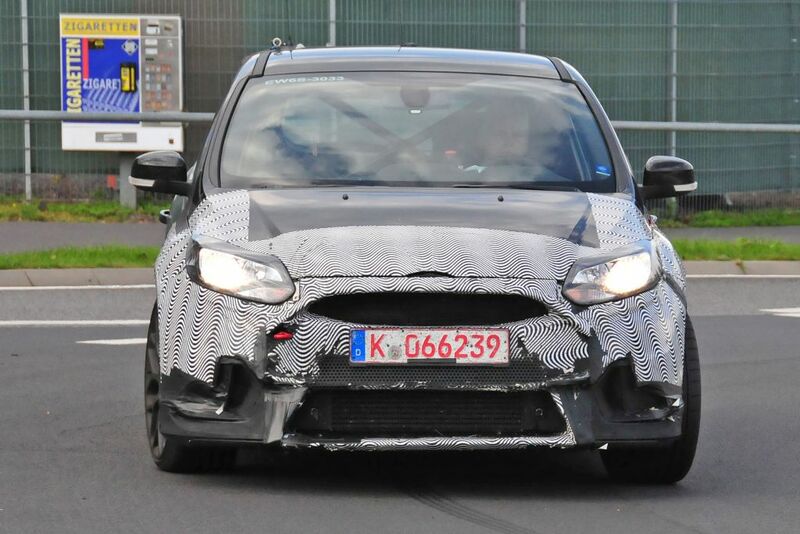 The lowered bodywork continues along the sculpted sills of the car and around to a disguised diffuser at the rear with two tailpipes that can be seen burning holes into the mesh. 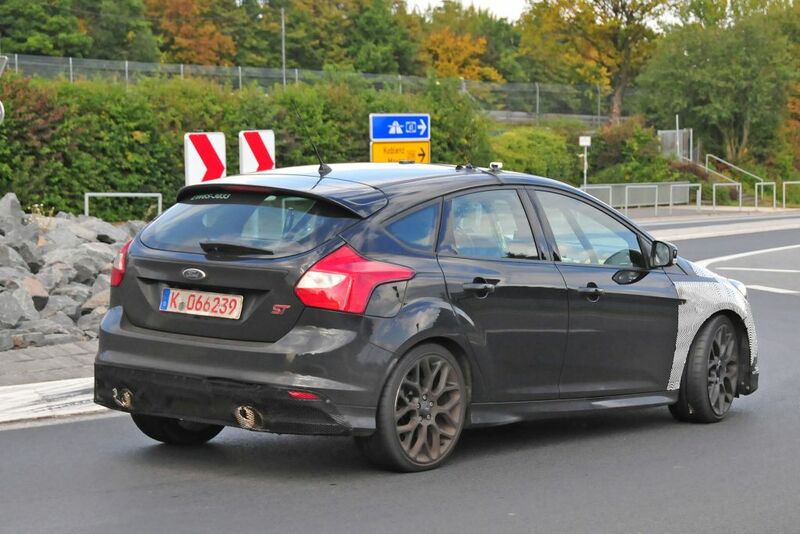 The hottest Focus will use a version of the Mustang’s 2.3-litre EcoBoost four-cylinder engine. 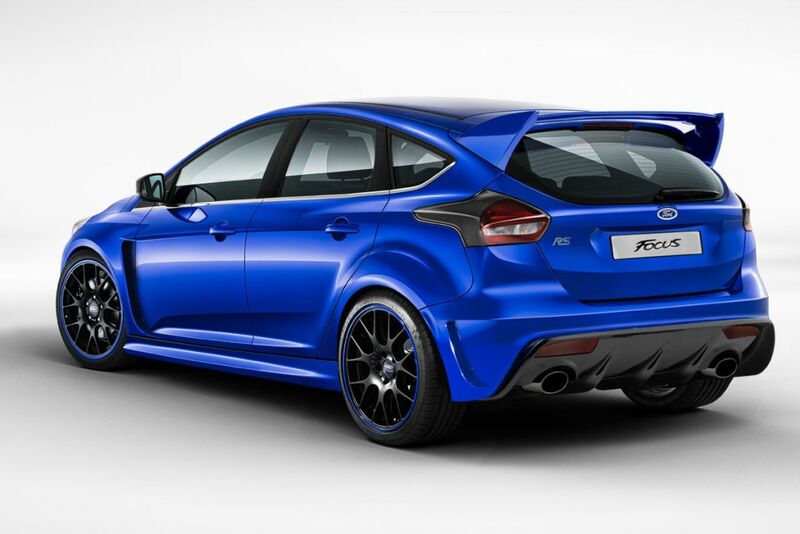 In the American two-door muscle car, that engine develops 304bhp, but to allow the RS to take on mega-hatches like the Mercedes A45 AMG, expect Ford’s engineers push the power up to around 350bhp. 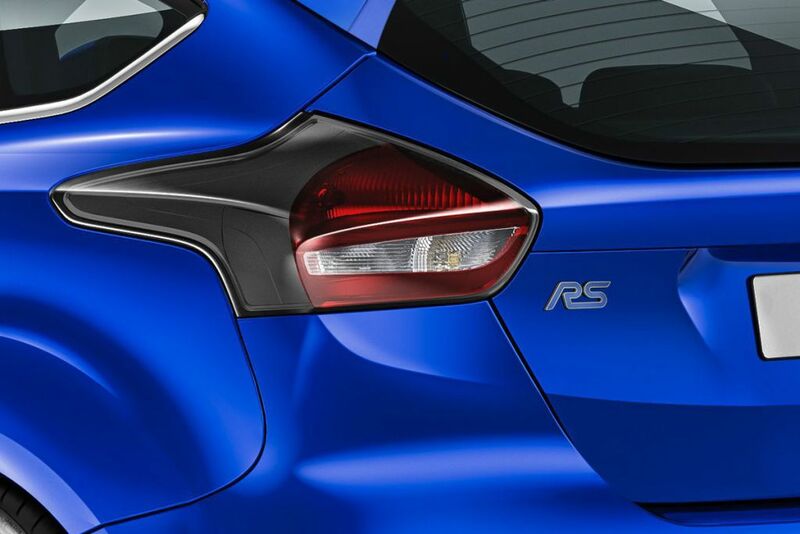 Unlike the A45 AMG, though, the RS will remain front-wheel-drive – partly to keep costs down and also because the last-generation Focus RS showed that a Focus chassis can handle large power outputs thanks to a clever limited slip differential and trick RevoKnuckle front suspension. 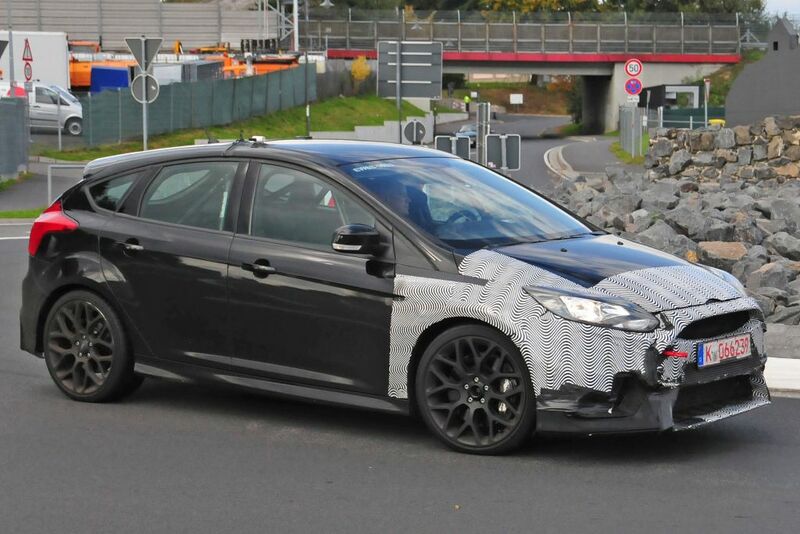 With Ford now carrying out aero tests on the production body, we have no reason to revise our estimate that the RS will go on sale sometime in 2016. 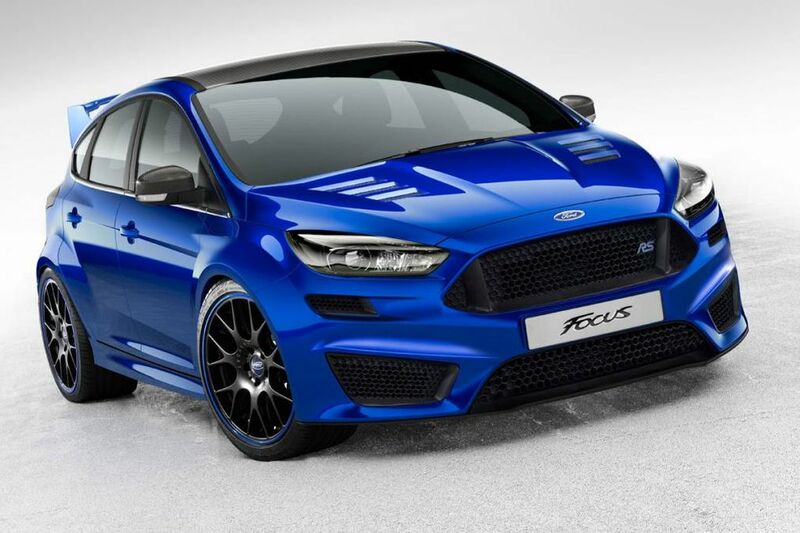 Ford has a proud history of offering rally car-like levels of grip, power and poise for relatively few pounds, so expect it to cost less than £27,000. 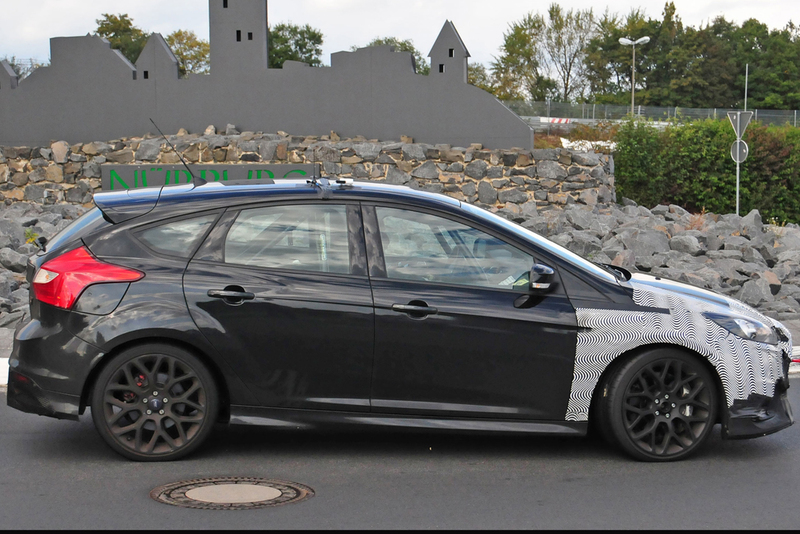 Focus Electric in prijs verlaagd?